The fun of the holiday season has come and gone, but that doesn’t mean all of the great things to do in Greater Wilmington and the Brandywine Valley have come to an end. The weather outside might be a bit frightful, but the exciting exhibits at our local museums and gardens are absolutely delightful. The outdoor gardens at Longwood are one of the most beautiful sights in all the Brandywine Valley, but when the weather is cold during the winter months, the real attraction here is the fabulous orchid display and spring-like temperatures inside the heated 4.5 acre conservatory. 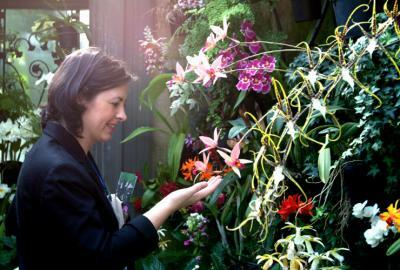 This stunning display features more than 4,500 orchids of all colors and varieties. Visitors will be impressed by a 12-foot tall archway of pink orchids, a white and purple orchid curtain, giant orbs of orchids, and even orchids hanging high above them from the glass ceilings. The Orchid Extravaganza kicks off on January 21, 2017 and runs through the end of March. 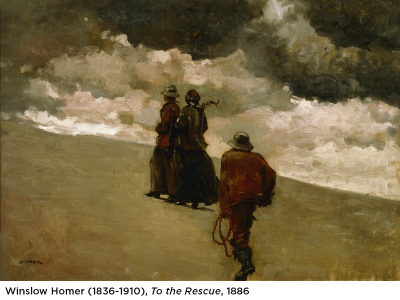 If you are passionate about modern American art, you will want to visit the Brandywine River Museum of Art for their “From Homer to Hopper” exhibit that will be open from February 21. 2017 through May 21. This 54 painting collection contains the work of some of the most influential American artists from 1870 to 1950. This exhibit was assembled by the Philips Collection in Washington, D.C., which was founded by Duncan Phillips in 1918 with the goal of promoting the powerful work of American artists from that period. The Delaware Art Museum has been the temporary home of nine beautifully painted mural panels that Howard Pyle originally painted for his home here in Wilmington. There were originally just two panels on display, but as of August 2015, the complete set of nine panels was unveiled together for the first time since the 1920s. The paintings were some of Pyle’s first work with murals. He started working on them in 1903, and this led him on a course that took him all the way to Florence, Italy to study some of the most famous examples of murals. This semi-permanently collection is in the Vinton Illustration gallery on the second floor of the Museum and is scheduled to be on display through December 31, 2020. 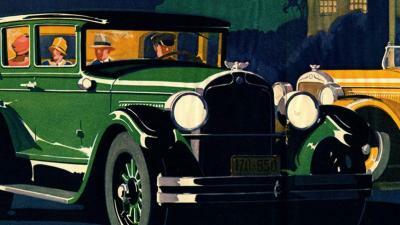 With their “Driving Desire” exhibit, the Hagley Museum invites visitors to take a look at the six most prevalent themes in automobile advertising over the years. The exhibit will introduce you to some of the techniques used by Madison Avenue advertising executives to convince the American public to buy various types of vehicles over the years. This exhibit includes everything from samples of actual advertisements to one of the cars that was advertised back in 1958. By the time you finish exploring this exhibit, you will be second-guessing whether you chose the last vehicle you purchased or someone sold it to you. The “Driving Desire” exhibit will be on display through March 12, 2017. When you combine these museum and garden exhibits with a nearly endless selection of outstanding local restaurants, entertainment and tax-free shopping there are plenty of things to see and do in Wilmington & the Brandywine Valley on a winter weekend escape that’s just minutes off I-95 but miles away from the everyday.